Transferring ownership interest in a business can be complicated and require the considerations of how the sale of a business interest will affect multiple aspects of the owner’s life, including estate planning. Business owners in Florida should consider the use of buy-sell agreements in combination with a trust to pass on the proceeds of the sale of their ownership interest to their heirs. A buy-sell agreement is a contract or legal agreement that business owners enter into, and which governs how the business will be managed or controlled if a business owner dies, becomes disabled, or another triggering event occurs. In a buy-sell agreement, the owners may agree that upon the death of one owner, the other owner or owners will buy or have the option to buy the deceased owner’s interest in the business for a predetermined price. 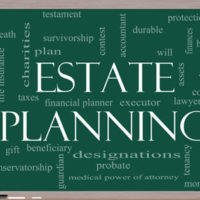 In terms of estate planning, a business owner can then direct the proceeds of the sale of the business shares into a trust for the benefit of the deceased owner’s heirs. This would prevent a situation where the proceeds of the sale go into the deceased’s estate directly and raise the value of the estate to a point where the estate would be subject to federal estate taxes. A business owner who does not believe that his business partners would be able to successfully run the business after his death should also consider creating a buy-sell agreement. The creation of the agreement would ensure that the heirs or beneficiaries who inherit the business owner’s interest in a business would not be dependent on the success of the business when it is being run by a partner who may not be as successful as the deceased owner at running the business. The use of a buy-sell agreement can also be very advantageous to the future heirs of the business owner. An heir inheriting an ownership interest in a business and wishing to sell it may not be able to understand how to go about making the sale. He may also have to negotiate with the other business partners from a weak bargaining position, and may end up selling at a loss or simply taking a lower price to sell faster. With a pre-arranged price set in the buy-sell agreement, the heir would not have to worry about price. The price set in a buy-sell agreement is usually fair market value, and the heir does not generally have to worry about a bad sale price set in the agreement. The agreement also provides a guaranteed market for something the heir may not otherwise be able to readily sell depending on the nature of the business. As with estate planning documents, a buy-sell agreement should be updated as soon as possible after any major changes to the business. If you are a business owner interested in how you can plan your estate and account for business succession, or how to set up a trust, call us to speak to an experienced estate planning attorney at the Millhorn Elder Law Planning Group located in The Villages, Florida.